Before the trip to Oman, we got the message that the trip had been extended by a couple of days, due to changed flight schedule. 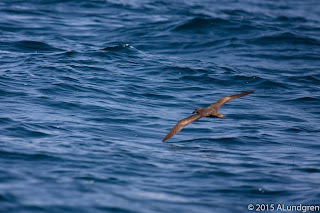 When hearing about this, I wrote back to Gigi to say that if possible, I would like to include a pelagic in the trip. Of course, the trip would be a little bit more expensive but I thought it would be worth it. 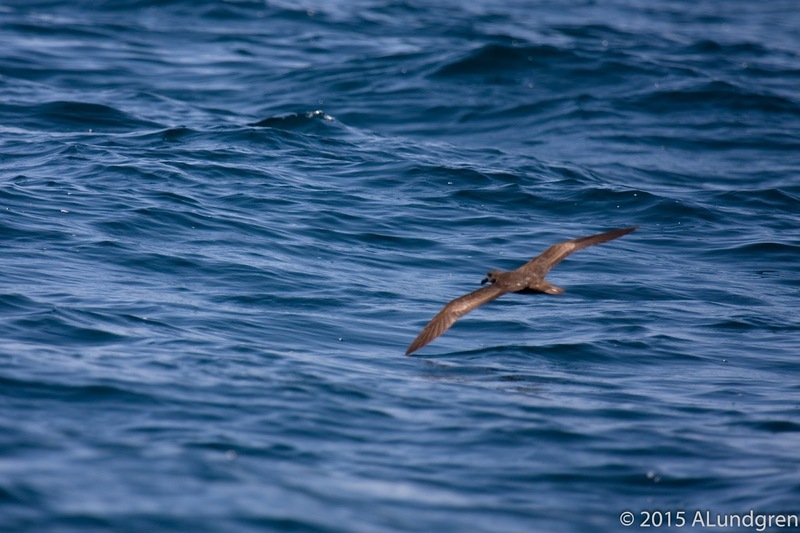 Gigi bought the idea and planned a pelagic and in the end I think all the participants in the trip joined in. 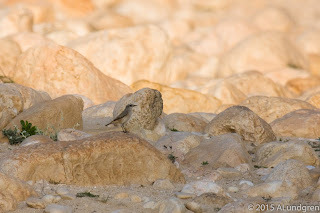 In this post, I will not only add photos from this trip but also from when we went to Al Mugsahul. Al Mugsahul is a site where it is possible to see some pelagic birds while staying on shore. Immediately after breakfast we drove to Rotana Resort, where the boat would depart from. We saw a couple of Green Bee-Eaters at the parking place and also a few Crested Larks. 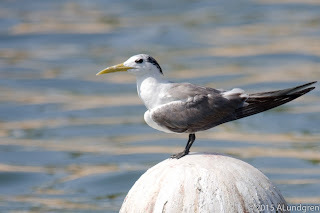 In the marina we could se a lot of Greater Crested Terns, Lesser Black-backed gulls (probably both heuglini and barabensis but that's beyond me), Slender-billed Gulls and more of the common species of course. A few in the group managed to see a Striated Heron as it flew into another part of the marina but we could not find it again. 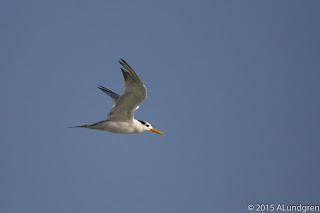 A pair of Sandwich Terns flew over the marina as we approached the boat. There were plenty of Greater Crested Terns in the marina. No Lesser, but we found one out during the pelagic later on. 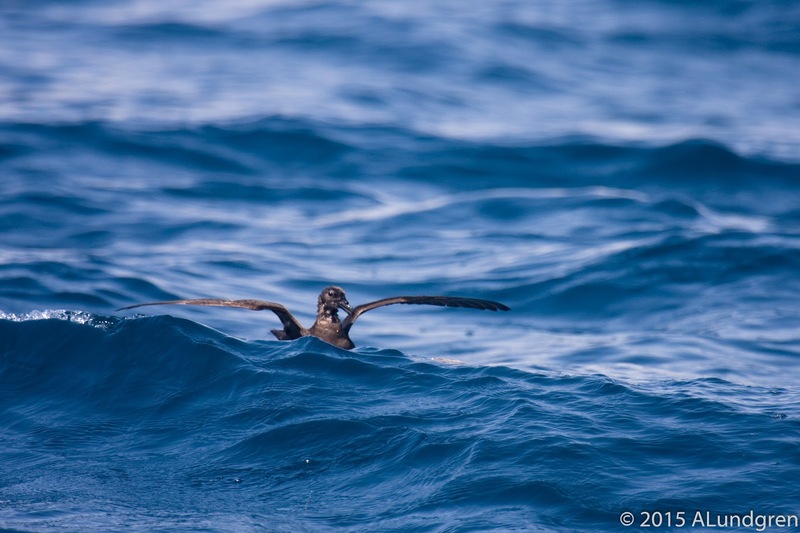 As soon as we passed the outer waterbreakers of the marine, the first real pelagic bird showed itself. 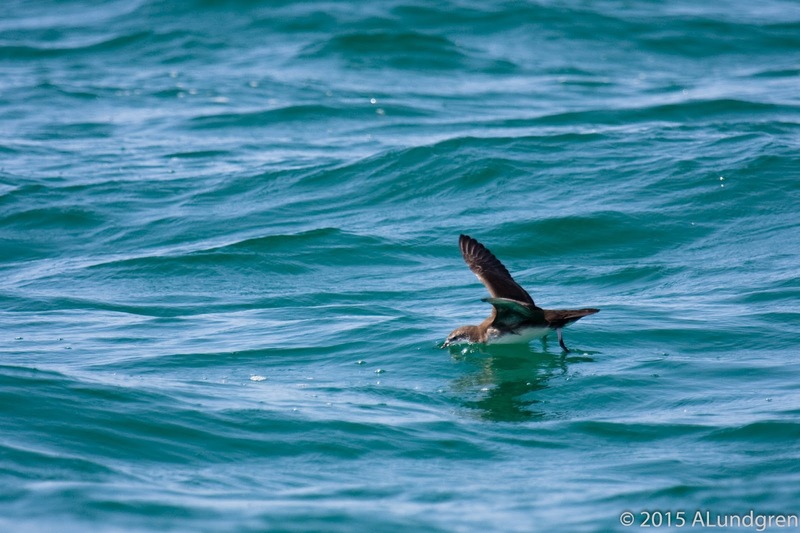 A Persian Shearwater was lying on the water seemingly as if waiting for us. From here we took the boat out a couple of hundred meters out from shore, some distance less than I would have preferred, and drove west, paralell to the shore. 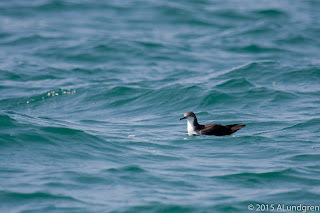 A few Socotra cormorants and a Lesser Crested Tern was really all we saw until we reached the westernmost spot of the trip. I think the "captain" of the boat actually didn't know what we wanted to look at but rather thought that we wanted to see dolphins. 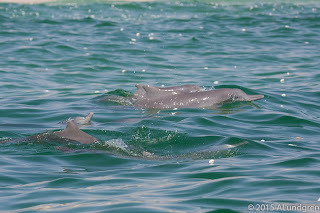 In the end we did see some dolphins. 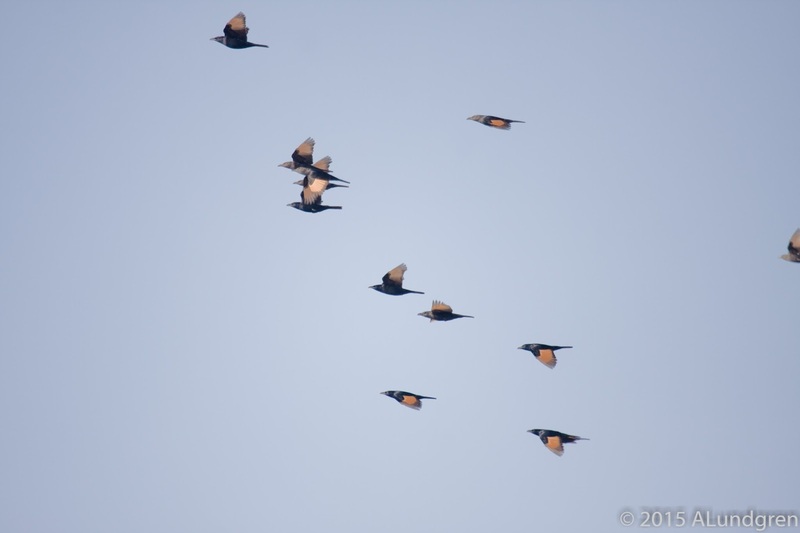 I just saw these in the photo below but I know that someone in the group also saw another species. With the Dorfar mountain range in the background. 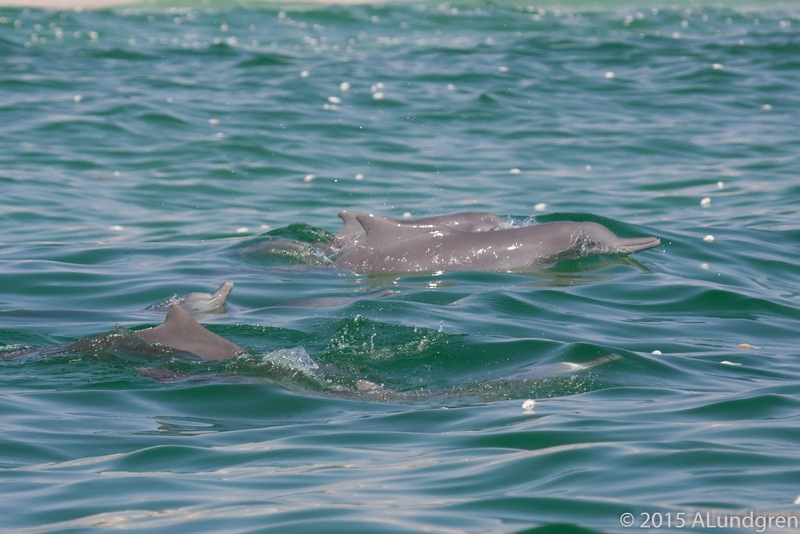 Some dolphins, nice! My first, ever! 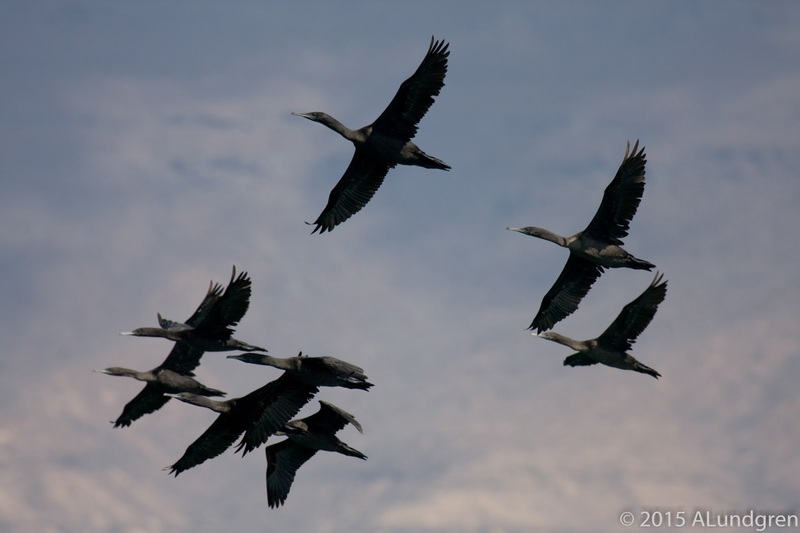 When we all had seen enough of the dolphins, we asked the captain to take us further out. So, just straight out from the shore. 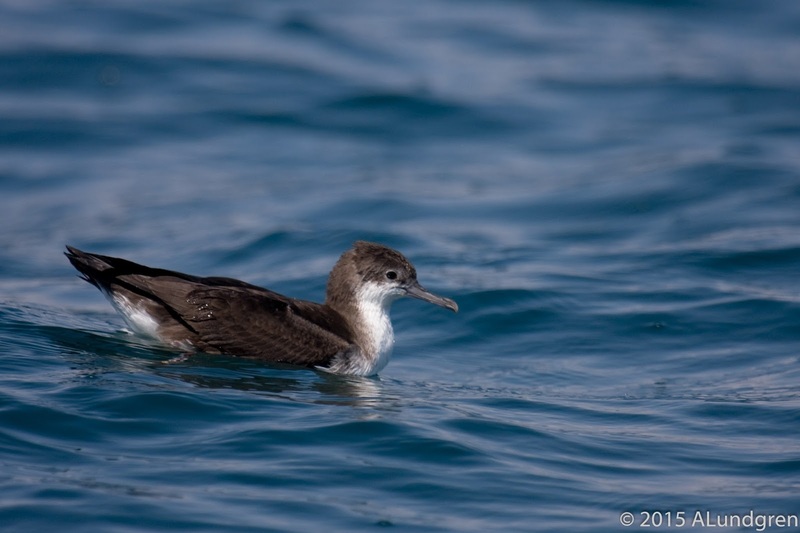 This paid off immediately as the second Persian Shearwater was found. Again lying on the surface. This time eating something. We managed to get really close. 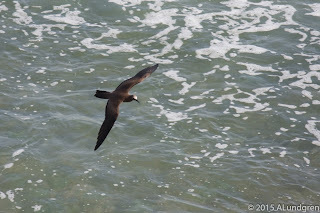 We soon saw a couple of Flesh-footed Shearwaters and also a couple of Bridled Terns. But that was it. The drive back to the marine proved quite tedious... I was in the front of the boat and I got splashed all the time. When we got back, I didn't clean my binoculars good enough immediately and the next day the focus wheel had almost stuck because of all the salt. Dispite the heat, I got quite cold in the end. 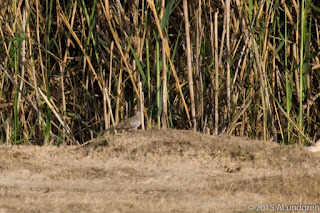 Very few birds were seen on the way back. 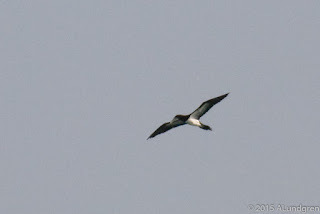 A couple of Bridled Terns and one or two Flesh-footed Shearwaters, but they were often some distance away. Back in the marina, quite a few Slender-billed gulls had gathered while we were out in the ocean. 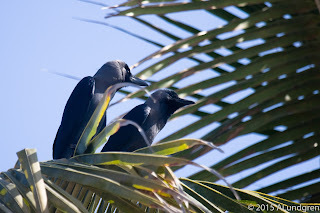 After the pelagic, we had some lunch among the House Crows before we headed back to Salalah, where we had our first visit to East Khawr. More about that in this blogpost. 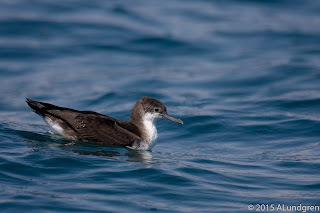 A couple of days later, on the 22nd, we drove to Al Mugsahul to get some more pelagic species and perhaps to get better views of some of the species we've already seen. In Al Mughsahul, there is an abandoned restaurant which is a good spot, both for lunch and for setting up the scopes. It is a little bit elevated, which is also good.Here is a google map showing the Al Mugsahul beach where the restaurant is at the western end of the beach. The start of the wadi can also be seen just west of the middle of the beach. We did see some birds, both from the porch of the restaurant and from the beach close by. 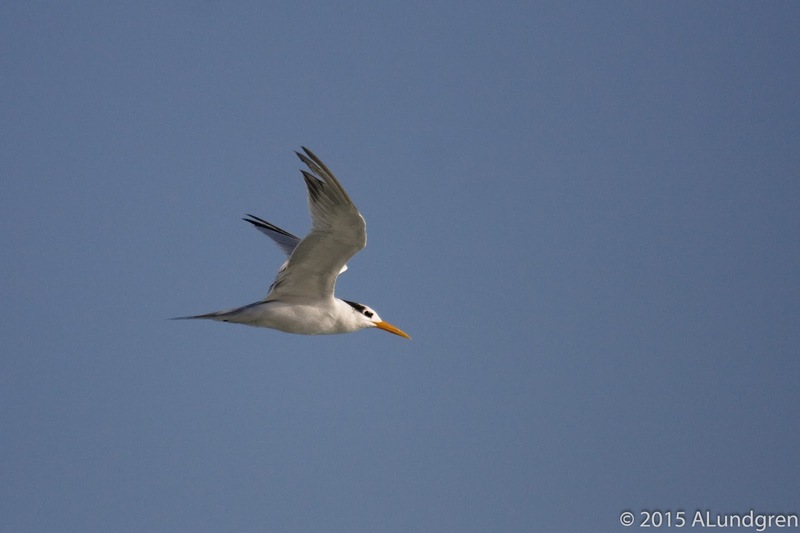 A large group of terns, both Greater Crested and Lesser Crested Terns and also one Pomarine Skua. 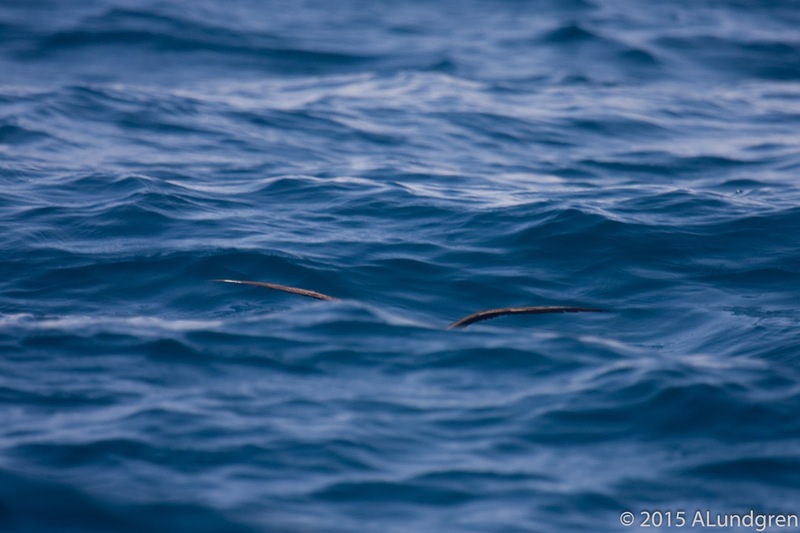 One of the first birds I saw from the restaurant was a Striated Heron, which darted quickly away. Not seen by many of us. 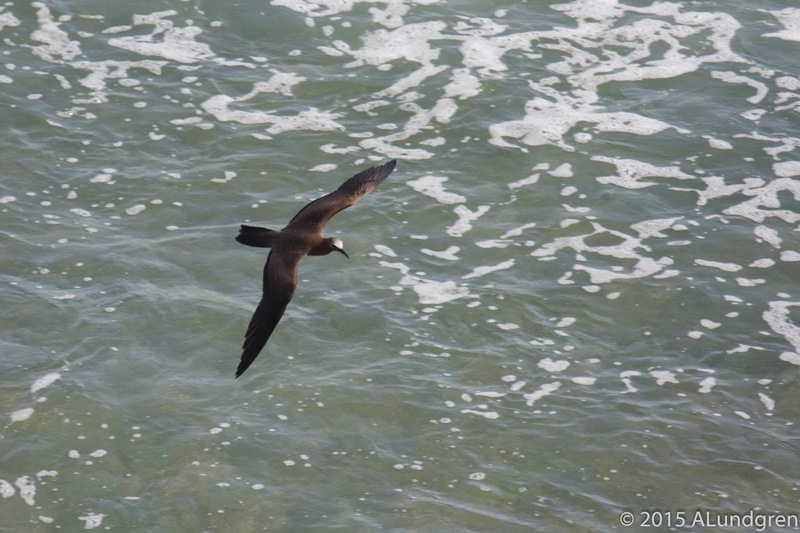 The highlight of this part of the trip was the Brown Noddy, which at first was found when it was resting on one of the buoys a bit out in ocean. 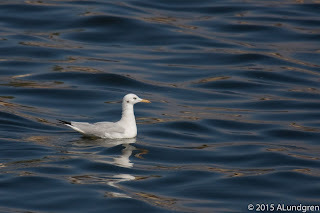 But when all the others had left, I was lingering behind together with my friend Böna, it came flying close to restaurant. Really nice. 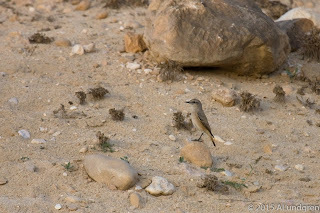 Another bird, which was not at all the target of the trip to Al Mugsahul, was the Arabian partrige, which we found in the hills close to the restaurant. 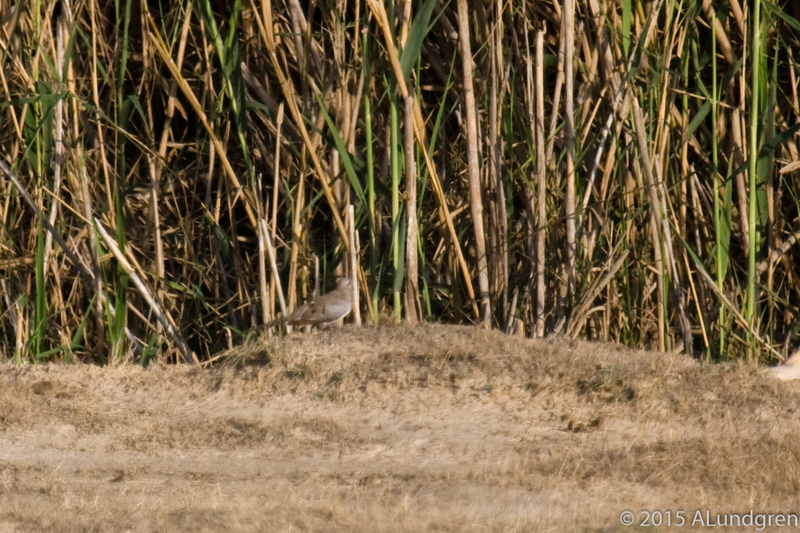 Also, the only Tawny pipits of the trip were found down by the beach. 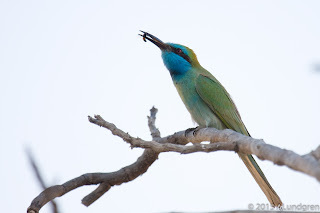 A common bird in many places. The Tristram's Starling waited for us to leave som food behind when we left the restaurant. The Brown Noddy, mentioned above. 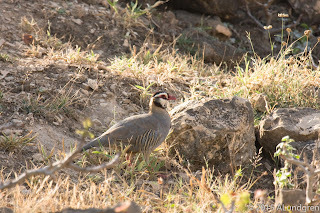 A few Arabian Partridges were found pretty close to us. 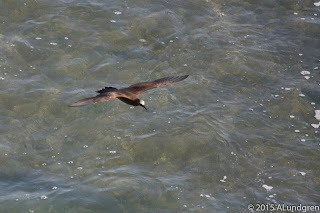 This was a test where I tried to take a photo of this Brown Booby using digiscoping. 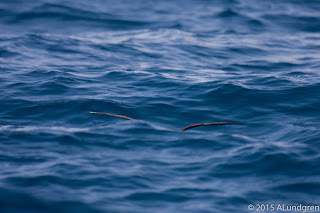 Well, at least it is possible to see that it is a Brown Booby, but not much more. When we had seen enough of the ocean we moved into the wadi in Al Mugsahul. The target species here was the Hume's Owl (or Omani Owl..?) 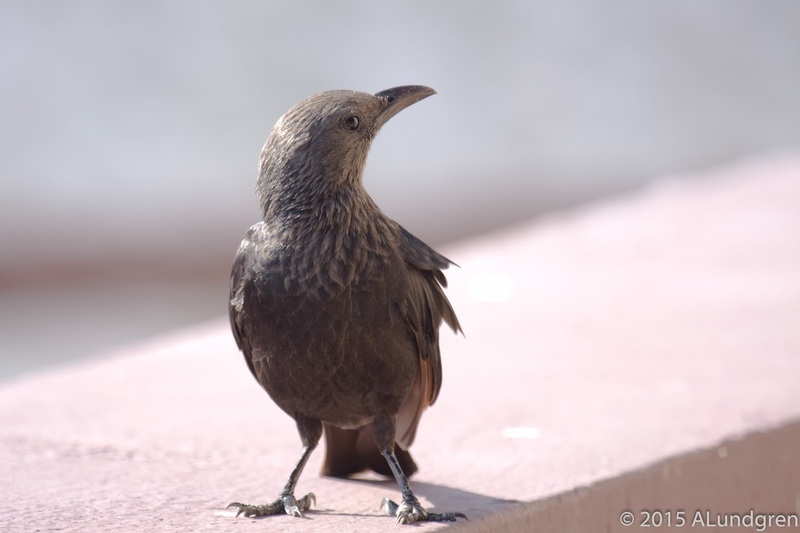 Strix butleri. 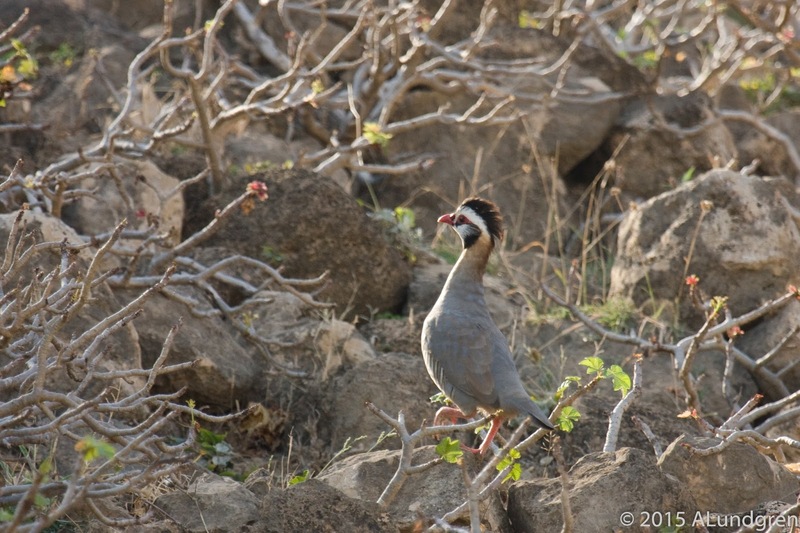 Unfortunately we didn't hear it but on the way in towards the end of the wadi, two more interesting birds were found. The Namaqua Dove (which I had already seen at Raysut waste water plant) and Red-tailed Wheatear. We also heard some kind of mammal while waiting for the sun to set and the Owl to start hooting. Even though we never heard the owl, the approaching night in the mountains was an amazing experience. Even though we were a party of several people, we managed to stay silent enough. Fantastic! I like pelagic birds, perhaps because I live just beside the see in Sweden, but I was, I think, a little dissapointed that we didn't see more. But that might just be me being spoiled.. :-) Perhaps it was just because I still hadn't seen the Masked Booby, which some of the group had seen at the hotel. Well, that sorted itself out in the end. 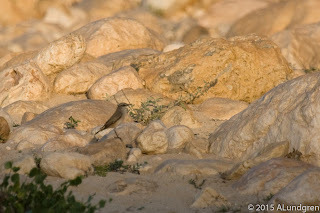 Next post will be about sites within Salalah, which we visited. Raysut waste treatment plant and Sahlnout farm. 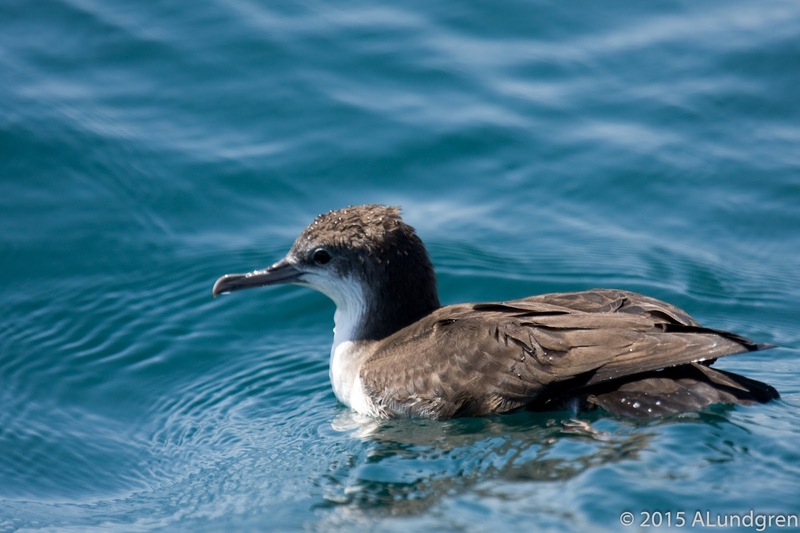 Species list for the pelagic and Rotana Resort. Only the interesting species are listed. 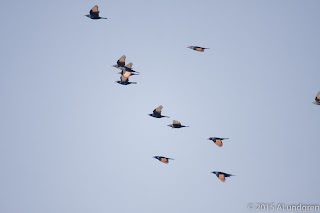 New lifers marked with *.